Is your spouse interested in moving to advance their career? If so, this can be an exciting time for your family. But you also may feel some apprehension and fear. As you work through the ramifications of potentially moving, there’s a lot to consider. Here are a few ideas about how to arrive at a conclusion you’re both happy with. One of the most important things to consider is whether moving to a different city will be a step up in life or not. This can be difficult to determine beforehand because there are always variables you won’t know. Will your spouse be more fulfilled in their career? Will you be able to afford the cost of living there? Will you have more of a support system where you are moving or less? Is talking about a potential move something that excites you or do you dread it? Will it be easy for you to find new employment once your spouse moves to a new city to advance their career? By talking about potential pros and cons, you’ll have a better idea of whether your move is a good idea or not. Are You Both in Agreement About Your Move? If there is one question that’s more important than any other one, it’s probably this one. It will be a miserable experience for both of you if you don’t want to move to a new city but you go along with your spouse anyway. Do you find yourselves in heated disagreements over a potential move? That’s a good sign that you aren’t ready to make hard-set plans yet. It’s crucial that you both agree about your move. Otherwise, your relationship will really struggle. Your spouse will be trying to do their best to adjust to a new city. All the while, if you weren’t happy with the move, you may feel bitter and complain about your new life. For obvious reasons, that will make things more difficult. Once you’ve worked through pros and cons, make a decision. The choice may be easy for the both of you or quite difficult. One final thing you may need to do is to compromise regarding the move. You can set up conditions that need to be met before moving. For instance, if you’re a new mom, you may not want to move until your baby is a little older. If you’re dealing with other instabilities in your life, that may mean it’s best to wait a while so things level out, too. If your relationship with your spouse currently is “rocky” it’s understandable if you’re not exactly stoked about a move. You may need to set concrete goals for your relationship before moving. Although relocating is a stressful life experience, it can also open up opportunities greater than the ones you currently have. Regardless of your decision, the most important thing is that you stay close as a couple through the process. If you and your spouse are struggling with your decision, it can also help to seek the advice of a counselor. Sometimes the advice of a third party can better enable you to decide what’s best. If it is time for you to schedule your marriage counseling appointment, you can do so online using our online scheduling tool, call us at (949) 430-7269, or text us. 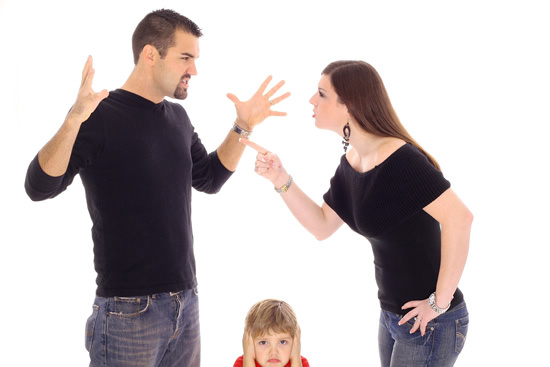 Should You Stay in an Unhappy Marriage for the Sake of your Kids?